Is too much screen time causing your chronic headaches? For patients who suffer from chronic headaches, identifying the root cause of them is vital to receiving effective treatment. There are many common causes of chronic headaches and migraines including concussions or whiplash. But there are some causes of chronic headaches you may not expect. For example, could too much screen time be causing your chronic headaches? The body is an interconnected system of bones, muscles and tissues. Dysfunction in a body part or muscle can cause pain elsewhere. This is especially true for issues involving the spine. Sitting behind a desk all day is terrible for posture regardless of how much time is spent actively staring at a screen. This is because the hunched over position runs against the natural curvature of the spine, which places tremendous strain on the muscles of the back, neck and shoulders. Specifically, staring at a screen for long periods of time puts the neck and head in a forward position. There is a simple way to check if you have a forward head position. Stand with your back to a wall and line your heels up against it. Stand straight up and see if your head touches the wall as well. If it is forward away from the wall, poor posture has altered your head position making it more likely that excessive screen time is causing your headaches. Invest in a sit-to-stand desk so that work can be done while standing. Take frequent breaks to walk around. Aim for 15 minutes of movement every hour. Adjust the height of your monitor so that you are looking up at it instead of down. Purchase an ergonomic work chair that promotes good posture. Too much screen time isn’t just a problem for computer screens. Our smartphones are just as bad, if not worse for posture. The small screens encourage people to hunch forward and place their necks further in the forward position. Border Therapy Services wants to help patients with chronic headaches. A comprehensive treatment plan will be created for each patient based on their needs. 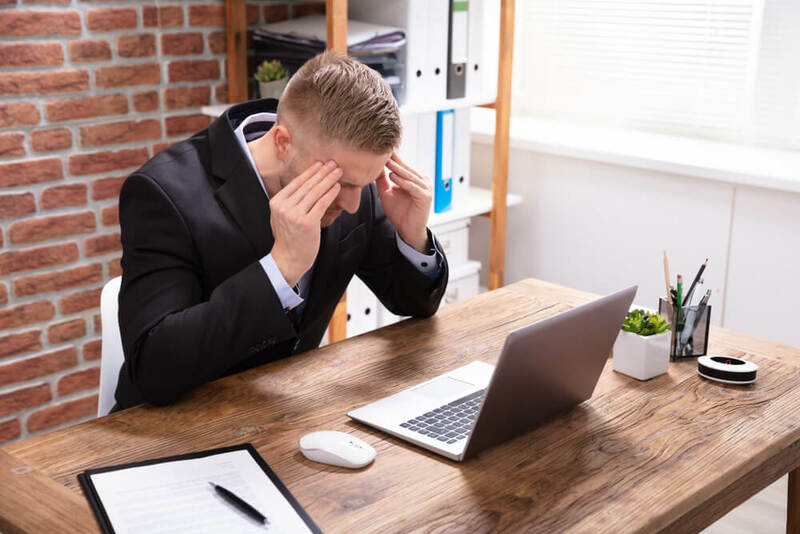 This may include ergonomic suggestions to improve posture while working and stretches to help increase range of motion in the neck to relieve painful headache symptoms. Contact us today to set up your initial appointment.